A friend of mine told me about how a few years ago he would drive to work each day and see homeless people living underneath an overpass in Pensacola. He said he felt sorry for them and even went so far as to donate some money to the Waterfront Mission which is an organization that helps homeless people. He went on to say that a year went by and due to some unfortunate events, he found himself living underneath that very same overpass. He came to his senses and got into a program and is now doing fine. One thing he has now that he did not have before is a clearer perspective of what it is like to have no hope and no home. The vast majority of people in Pensacola go to sleep each night in the safety and comfort of their own homes. They have air conditioning, running water and food to spare. While these people live the American dream, another group of people live the American nightmare. The nightmare of homelessness. While you sleep in a comfortable bed they sleep underneath an interstate overpass or in the woods behind your favorite restaurant. During the day they either try to find work or beg for money. If they stand on the side of the street and accept money from a person in a car they will go to jail. If they don’t they will go hungry. Which would you choose? Their only form of health care is to get so sick that they have to go to the emergency room. Otherwise, they simply suffer. God sees them as human beings but we see them only as problems. We try to send them somewhere else but there is not a place called somewhere else for them to go. Do you want to know what they want? They want a life like the one that you and I have. They want to be happy. They just don’t know how. To them life is hopeless. I was at a homeless camp the other day and had a man ask to talk to me. I was sure he was going to ask for money. Instead, he put his hand on my shoulder and asked me to pray for him and 3 others. I did. I have had others ask to pray for me and my family. Each time, they would pray the most sincere of prayers, and then end in Jesus name Amen. I never expected that to happen. I was confused until I realized that if I was in their situation I would pray all the time. We pray out of convenience, they pray to survive. I talked with another man named Jerry after an outdoor church service and during the conversation he said that he was not perfect and that there was only one person who was. I asked who that was and he replied, Jesus. Jesus said that the poor would always be with us and he was right. In his day they lay on the steps of the synagogue begging. If they did that today they would be arrested. Ask yourself this question. If you were homeless and destitute what would you want someone to do for you? If it was me I would want help, and you would too. You cannot help a person without making a personal contact with them and you cannot make personal contact with a person without wanting to help them. Organizations are great, but they cannot replace a handshake, a smile and an encouraging word. Only individuals can do that. Organizations have a purpose but replacing our job of loving others is not one of them. This website is not designed to talk about the philosophy of homelessness. Nor is it designed to discuss the politics of the issue. If you did not want to help the poor and the homeless you probably have not read this far anyway. The purpose of this site is to give you things to do for these precious people. One homeless person is worth far more than all the gold in Fort Knox. The same blood that was shed for me was shed for them. That makes them precious. I have written articles that are listed to the right that cover a variety of ministries that you can start that address needs that homeless people have. They are meant to encourage but not to enable. Mostly they are a way for you to show someone that you care about them and that God cares about them. You will be amazed at what a difference you can make. There are also articles to the right that cover homelessness in general. There are a lot of opinions about this subject and I think these articles will help you to understand the truth about this issue. The truth, whether it is good or bad, will help you make better decisions when it comes to helping people. 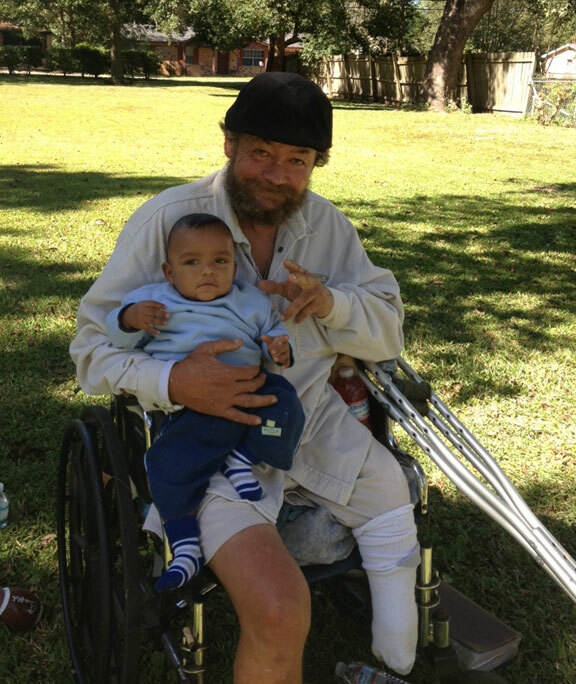 In closing, what the homeless in Pensacola need is the same thing we all need. A meaningful relationship with God through Jesus Christ his son. The gospel is what they need. But only if it is delivered with more than just words. Words only will do more harm than good. But the gospel combined with compassion and love can change Pensacola and the world.